An article by its bureau chief here in Jerusalem in yesterday's New York Times ["The Dueling Narratives of the Israeli-Palestinian Conflict", October 27, 2015] seems to us to be a classic of its kind. Mr. Abu Hamed, interviewed for a recent article about Arab East Jerusalem, was talking about Shorouq Dweiyat, the 18-year-old from Sur Baher who was shot and wounded in Jerusalem’s Old City on Oct. 7 by an Israeli Jew she had stabbed in the back. But he could have been describing the violence that has swept across the Holy Land this month — or the entire Israeli-Palestinian conflict. The conflict is one of dueling narratives that can obscure concrete debates over dividing territory or determining the fate of the contested Old City compound at the center of the current crisis. These narratives have devolved further in the latest uprising, fueled by incendiary material swirling around social networks and harsh rhetoric from leaders on both sides. “The story of Shorouq” in Sur Baher is of a devout girl harassed by Jews after praying at the compound’s Al Aqsa Mosque; many people told me they watched with outrage footage that showed men tearing at her veil and long cloak, though the video has disappeared from public sites. The story Israelis tell is of a student who skipped class, sent a Facebook message to her mother saying she planned to become a martyr and went stalking Jewish prey with a sharp blade. To most Israeli Jews, what has been happening is a spate of random attacks against innocents. Palestinians see it as excessive force against not only attackers but anyone who looks like them. 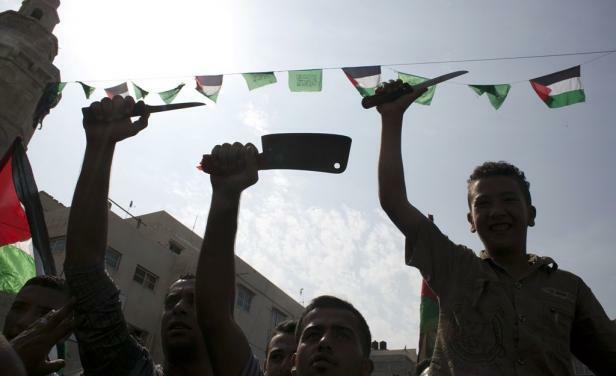 The videos Israelis share include a film of a Palestinian employee of the Israeli phone company who rammed a car into an Orthodox Jew and then hacked him with a meat cleaver. Palestinians pass around clips not of the attacks but their aftermath, like a boy bleeding on the street as Jews curse him and Israeli officers stand idle. After yet another attack at the Damascus Gate to the Old City the other day, a crowd of angry men and boys gathered behind the police barricades, eager to tell what they had seen: A Palestinian teenager, wearing fatigues, who fled from his father after a fight only to be felled in a hail of 20 bullets, or 40. Many people said they heard the loud argument, but none could say what it was about. “The father was yelling at him big time, ‘Go home, stop, go home,’ ” one said. 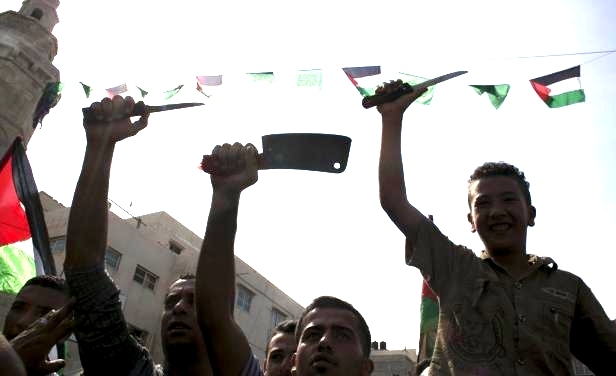 Maybe the youth had said he was going to stab an Israeli, and the father tried to prevent him. The Israeli police soon published a photo of a pocketknife, the kind Boy Scouts use, next to the slain teenager. We count on people in the NYT-watching brigades to take this to bits in detail. We can observe that the matter of the genocide-minded Haj Amin Al Husseini, his deep involvement with the Nazis and his attachment (literal and figurative) to Adolf Hitler, deserves something a touch more journalistic than Ms Rudoren's glancing mention of a "Palestinian cleric" about whom a "whopper" was told. A real challenge: what's a thinking person to do in the face of opposing forces that seem to be about equally believable? Evidently just throw our hands in the air and declare that it's all too hard. And what then? Go back to the safe formula of pouring scorn on the side perceived to be stronger, less exotic, more privileged? that quickly expresses itself in hundreds of stabbing attacks and attempts. We're actually wondering whether, as professionals in the news reporting industry, the editors at the New York Times know of a long, documented history of official Israel inventing evidence. Making stuff up. Is there a catalogue some place of the Israeli side making absurd, extravagant claims about the disputed facts? Also: do Palestinian Arab public figures have a track record of incisiveness, of dedication to the facts, of a respect for history, of forensic credibility? Is Hanan Ashrawi just a "leader of the Palestine Liberation Organization"? Does mention of her highly controversial career with its outrageously propaganda-rich soundtrack have no place in an analytical piece like this? (Memo to Jody Rudoren - please check out one of our many posts on this lady's unloveliness: "08-Oct-14: Children, innocence, rhetoric and savagery".) Is a New York Times paragraph, sentence, word, critical of Ashrawi's divisiveness and looseness with certain kinds of facts even conceivable? Come to that, are liberal-minded people allowed to ask questions like these? To think like this? Has "America's leading news source" ever found itself, anywhere, at any time, so totally baffled by conflicting narratives as this one pitching Israel against the Arab world at large and the Palestinian Arabs in particular? 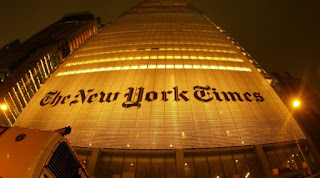 Given its reach and influence, does the NY Times, and its talented team of news producers and chroniclers, have a responsibility to anything, to anyone? To the truth? 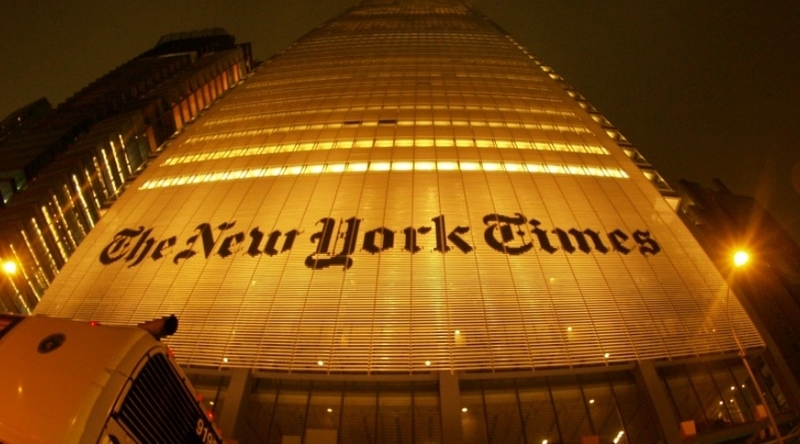 For the NYT's band of news packagers, is there such a thing as truth? Truths vary with the angle. Facts are tougher to fabricate. Unless the audience is primed to accept lies as facts; there's that angle thing again.